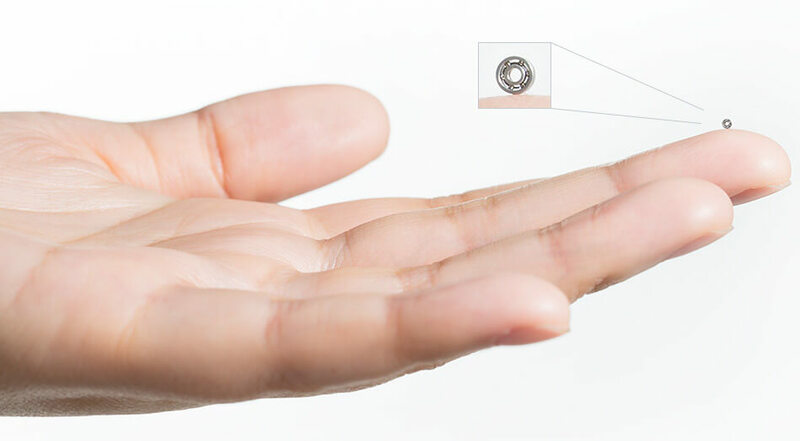 Small, specialist, miniature ball bearings, Italy. Minebea’s main ball bearings products are radial ball bearings for railways, up to a maximum outside diameter of approx 28mm. Going to the small ball bearings, the smallest bearing in our range has a bore of 1mm and outside diameter of 3mm. In between there are ball bearings in a wide selection of sizes in both inch and metric (ISO) standard sizes. The materials used for the specialist ball bearings construction are either a high carbon chrome steel, manufactured by a vacuum de-gassing process or, where good corrosion resistance is required, Minebea has developed its own proprietary stainless steel to provide optimum load capacity and long life, also for miniature ball bearings, in the appropriate operating condition. Over than small ball bearings, Minebea products range includes also rod end & spherical bearings: high performance precision bearings. These products are used in critical applications: civil and military airccraft, high-speed trains and trams and a diverse range of other military and industrial applications. In addition to specialist ball bearings, the company produces rod end suspension bearings for most of the leading Formula 1 racing teams and other high-performance car manifactures, where optimum performance and reliability under extreme conditions are essential.